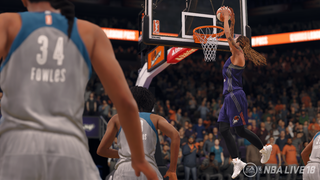 The WNBA is coming to NBA Live 18, publisher EA said today. The WNBA is coming to NBA Live 18, publisher EA said today. This is the WNBA’s first appearance in a basketball video game, although the NBA Live series has been shaky in recent years.